For innovative product development and the ability to solve complex problems, it is essential to have extensive testing and analysis capabilities, experienced and knowledgeable people, and a clear understanding of customer needs. The strength of Q8Research lies in our ability to take a full lifecycle approach to product development. Products that start life on the laboratory bench are meticulously analyzed at each stage of the development process until we are satisfied that they are ready for our customers. We offer our broad range of facilities and competencies to our bussiness partners. Whatever the challenge, our customers can rely on the highest level of service and support. 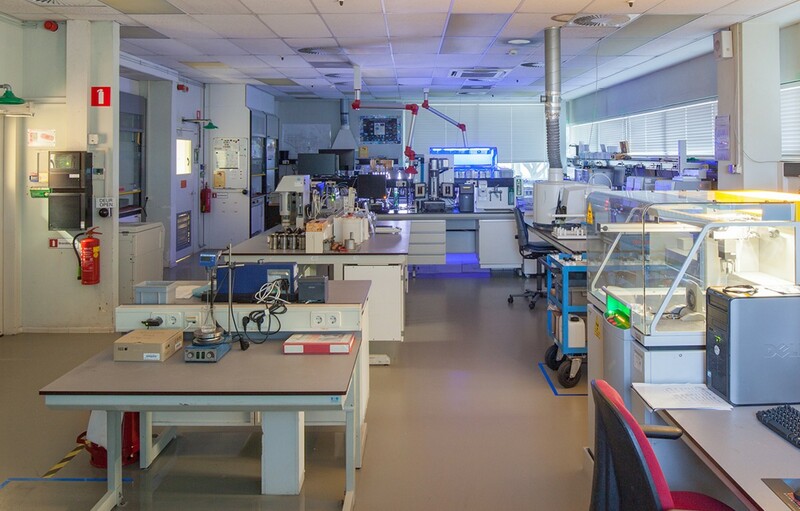 Due to the nature of our research work, Q8Research as an extensive range of unique test equipment such as NMR, IR, ICP, GC/MS and a fully equipped bitumen research laboratory. Testing provides an insight into the chemical composition of a fluid or material, enabling us to understand its positive or negative effect on perfomance. A wide range of tests, including viscosity, foaming, TAN/TBN, flash point and demulsibility, assist the physical characterisation and understanding of petroleum products. In this transition stage between development and marketing, testing simulates the performance of the product, for example in terms of wear, oxidation, filtration and fuel economy. We use engine test beds to monitor the perfomance of fuels and lubricants in automotive or power generation applications, such as diesel fuel injector fouling. Our engine test laboratory also has tests rigs for analysing hydraulic oil perfomance. Our team of Product Line Managers and Field Service Technicians, based in many countries, co-ordinate automotive and industrial testing on-site with customers and Original Equipment Manufacturers.